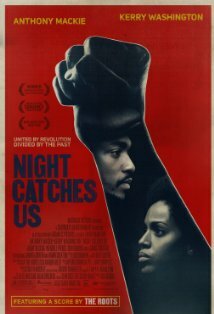 In 1976, after years of mysterious absence, Marcus (Anthony Mackie, “The Hurt Locker”) returns to the Philadelphia neighborhood where he came of age in the midst of the Black Power movement. While his arrival raises suspicion among his family and former neighbors, he finds acceptance from his old friend Patricia (Kerry Washington, “Ray,” “Lift”) and her daughter. However, Marcus quickly finds himself at odds with the organization he once embraced, whose members suspect he orchestrated the slaying of their former comrade-in-arms. In a startling sequence of events, Marcus must protect a secret that could shatter everyone's beliefs as he rediscovers his forbidden passion for Patricia.